Our range of products include diab veda capsule, ortho veda capsules (10x1x10), zyme veda syrup, pachak veda syrup, addiction free powder and kidney stone ayurvedic capsules. Bitter Melon Principle constituents are lectins, charantin and momordicine. The fruits have long been used in India as a folk remedy for diabetes mellitus. Lectins from the bitter gourd have shown significant antilipolytic and lipogenic activities. Indian Gooseberry Can be attributed to the high vitamin C content, awls enhances food absorption acid, balances the liver, nourishes the brain and mental fuctioning, supports the heart, strengthens the lungs, regulates elimination, enhances fertility, helps the urinary system, is good for the skin. Fenugreek Is an herb that is commonly found growing in the Mediterranean region of the word. Fenugreek seeds have been found to contain protein, vitamin C, niacin, potassium, and diosgenin. Other active constituents in fenugreek are alkaloids, lysine and L-tryptophan, as well as steroidal saponins (diosgenin, yamogenin, tigogenin, and neotigogenin). Java Plum Fruit regarded in traditional medicine as a specific against diabetes. Because of its effect on the pancreas. The seeds contain a glucose lamboline' which is believed to have the power to check the pathological conversion of starch into sugar in case of increased production of glucose. Its reduces the quantity of sugar in urine and allays the unquenchable thirst. Ref : text : Bharprakash niganthu. In humans with type II diabetes, banaba extract, at a dose of 16-48mg per day for 4-8 weeks, has been shown to be effective in reducing blood sugar levels (5%-30% reduction) and maintaining tighter control of blood sugar fluctuations. An interesting "side-effect" of tighter control of blood sugar and insulin levels is a significant tendency of banaba to promote weight loss (an average of 1 KG. per month) without significant dietary alterations. It is likely that modulation of glucose and insulin levels reduces total caloric intake somewhat and encourages moderate weight loss. GYMNEMA SYLVESTRE, an Ayurvedic herb, comets be known as "destroyer of sugar" because, in ancient times. Ayurvedic physicians observed that chewing a few leaves of Gymnema sylvestre suppressed the taste of sugar. It is used today all over India for controlling blood sugar. Special precautions and Warning Diabetics should continue with the medicines prescribed by their doctor. Diab Veda can affect blood sugar control, so diabetics should monitortheir blood sugar levels closely. Excessive dose of Diab Veda may actually lower Blood sugar to the point of Hypoglycemia. 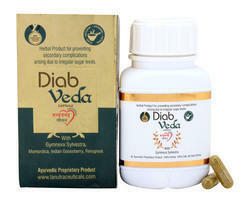 Stop using Diab Veda at least 2 weeks before a scheduled surgery. Also to be avoided during pregnancy and feeding. Dosage : Take 2 Capsules daily (morning and evening). Very positive effect on blood sugar levels are observed after 2-3 months. This herbal supplement can be regularly used over long period of time. 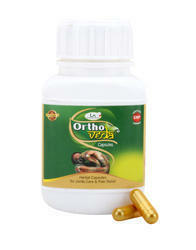 Ortho veda is very useful for relieving joint pains and disorders. Ortho veda accelerates the natural healing of joints and nourishes the joint orthoveda has: synovial fluid. Harsinagar (also known as Night Jasmine or Queen of the night) is antibacterial, anti-inflammatory, anthelmintic, expectorant, bittertonic, febrifuge and a mild purgative. Nirgundi is an excellent analgesic, anti-inflammatory and antibactenal.lt is a brain tonic therefore useful in headache, sciatica, rheumatic arthritis, synovitis, improves memory.Nirgundi improves appetite and digestion. It is useful in loss of appetite, anorexia, hepatitis and is anthelmintic and improves blood circulation process. Erand / Castor herb contains thymol which has antibacterial, anti-fungal, and preservative properties.Eranda is useful in all painful conditions; rheumatoid arthritis, constipated bowel, fluid retention, hernia (preventive use) and hemorrhoids. Shuddha Gugglu is a ye owis resin, w ic is secrete. sy a sma , t orny mu u myrr tree ca es commip urn mukul.Guggul possesses strong disinfecting properties and is a weight loss and fat burning agent It lowers elevated serum cholesterol and triglycerides, while maintaining or improving the HDL to LEI ratio. The herb is an anti-inflammatory and useful in arthritic pains and helps in reversing the degenerative changes that occur in joints and bones.The herb is widely used in diseases like rheumatoid arthritis, gout, osteoarthritis, sciatica, paralysis, hemiplegia, lymphadenopathy, etc. Digestive system : Helps in digestion and cures Flatulence, Gas problems,Indigestion as well as constipation. Anardana Panics grantum Seed 85 mg.
Chitrak Plumbago zeylanica Root 85 mg.
Addiction Free Powder is a mixture of precious Ayurvedic herbs. It contains Kudzu which is used worldwide and widely researched for its benefits. no side effects. It is a 100 % herbal product which has no side effects. It improves health of the person. Depending on severity of addiction and health condition of the person, this powder can be taken over long periods of time, providing only healthy benefits. Addiction Free detoxifies the body The harmful chemicals from the addicting susbtance (alcohol, tobacco, etc ) get accumalated inside the body in the liver, kidneys, etc The herbs In Powder remove toxins from the body. Addiction Free reduces craving of the addicting substance. Addiction Free helps improve the mental strength & will power. 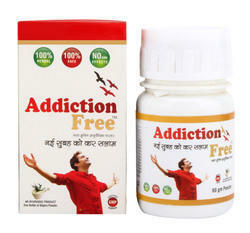 Addiction Free decreases body stress, mental stress and tension. Addiction Free heals/harmonises mind, body and soul. With harmonious mind and healthy body, a person gradually loses interest in consumption of alcohol, tobacco, etc. Direction for use Take one spoonful (provided inside) of powder two times a day after meals with water This Ayurvedic powder can also be mixed/added in the food/meals. Ortho Veda Oil offered can be made available by us in different packaging options to choose from and features presence of mahanaryan oil and other special oils that assist in providing superior relief from joint pains. Providing support as effective relaxant for strained nerves and muscles, it is used as massage oil and comes with powerful action that provides relief from ailments like arthritis, muscle spasms, body aches, rheumatism and others. Some of its features include 100% herbal oil constitution; featuring presence of natural extracts of herbs & essential oils that have deep penetrating action; chemical free which makes it safe to use; providing complete relief from joint pains. SLIM VEDA is a scientifically designed and clinically proven health & fitness kit. SLIM VEDA is a Kit with two different herbal products: 2 Daily capsules & 10 P.M capsules, and one special Herbal Oil for tightening of loose skin. These two different products have different formula and different actions in the body. Their doses have to be taken at different times of day. This one Kit is for 30 days and contains 60 Caps of 2Daily caps. + 30 Caps of 10P.M. caps + 100 ml. of oil. The products are 100% Herbal with no side effects. Results vary from individual to individual but definite benefits are achieved with continuous use of 3 months. SLIM VEDA has 2 different products which help in providing higher strengths/doses of herbs. This makes SLIM VEDA a unique, different and complete health & fitness kit. SLIM VEDA will burn excess fat from the body. This burning of fats leads to loose skin around abdomen, hips, etc. This kit has Special massage oil which helps in tightening of loose skin and increasing youth and beauty. SLIM VEDA has thermogenic herbs like Green tea, Shuddha Guggulu, Garcinia Indica, etc which stimulate body's metabolism to burn more fats; suppress craving for food; interfere with absorption of carbohydrates and conversion of carbohydrates into fat inside the body. You burn calories much faster and stay fit. SLIM VEDA has Guggulipid from Guggulu which reduces bad cholesterol, Low Density Lipoproteins and lowers Triglycerides. It regulates total lipid profile to healthy levels. 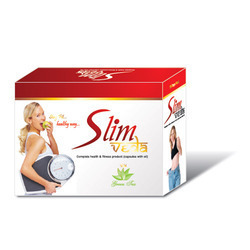 SLIM VEDA has Green Tea extract. An ancient Chinese Proverb says, "Better to be deprived of food for three days, than tea for one." That is the miracle of Green tea. The secret of green tea lies in its rich content of catechin polyphenols, particularly Epigallocatechin Gallate (EGCG). EGCG is a powerful anti-oxidant which fights cancer, lowers LDL cholesterol levels. EGCG derived from Green tea is the reason to explain the low retest heart disease among Japanese men, even though 75% are smokers. 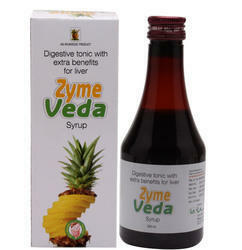 SLIM VEDA will thus make you healthier, feel more energetic and regenerate your youth and beauty. No dieting or starving is advised with SLIM VEDA. Balanced diet, moderate exercises, healthy lifestyle is advised. 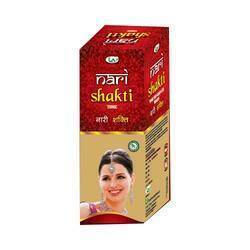 Nari Shakti, is 200 ml syrup with 20 tabs of herbs with bhasmas. This combination provides for better dosage and better round-the-clock effect of the medicines. Lodh & Ashoka chhal have been used since ancient times for diseases of women.Their combination is a boon to weak, emaciated and debilitated women. It brings normal menstrual flow and stops excessive discharge. It relieves backache, anaemia, debility brought about by multiple child births; it tones up the uterus and the vaginal walls and stops the white discharge. Dosage : Take one teaspoonful three time a day after meals. Take 1 tablet two times a day with water. PUSPADHANVA RASA This is the important Classical Ayurvedic Medicine for infertility and related reproductive problems. The main ingredients being are Rasasindura, Parada Bhasma, Naga Bhasma, Loha Bhasma, Abhraka Bhasma and Vanga Bhasma. This formulation is specially indicated in underdeveloped reproductive organs. INDICATION : For underdeveloped gives firmness to sagging helps to regain shape after feeding and after prolonged illness. 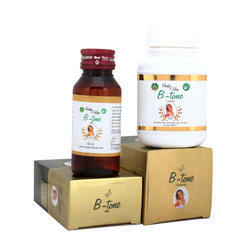 DIRECTIONS FOR USE Apply a little quantity of B-Tone or massage gently from downward to upward direction twice daily or as directed by the Physician. The result start appearing within 8 weeks. PACKING. 50m1. Corrects size proportionate to the body. Improves bust line and overall appearance of a women • It provides firmness and prevents sagging of bosoms. • Improves skin texture, prevents wrinkles and fine lines. U can buy BTONE at www.amazon.in by going to the url link: www.goo.gl/AAEBEi. Copy this url and paste on your search bar. Triphla is a mixture of AMLA, HARAD, BAHERA in equal quantities. The benefits of Triphla are innumerable and well documented in all Ancient Texts. The benefits are good digestion, treats constipation, good for eyes, rich source of Vitamin C, stopping of hair fall, provides nutrients as well as Antioxidants. Dosage 15-20 ml. with one cap water twice a day, or directed by the physician. Aloe Vera is High in Amino Acids & Fatty Acids. Aloe Vera is an Adaptogen. Aloe Helps Boost the Immune System.